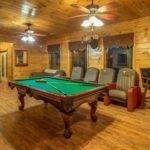 To start planning your vacation at our group cabin in Pigeon Forge, reserve Moose Hollow Lodge today! 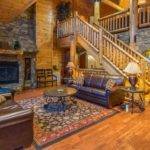 We would highly recommend this luxury lodge for large or small groups. It has such a beautiful view of the mountains, endless amenities for all ages and enough privacy for every individual. The owner of this property was absolutely wonderful with before, during and after our stay making sure everything was perfect for us all. There were no issues during our stay and everything was as advertised. With everything this lodge offered there was no need to leave. 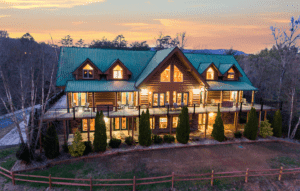 However, Pigeon Forge and Gatlinburg is nearby with the ATV mountain excursions only 4 miles away. 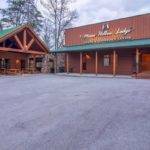 We’ll absolutely be booking this lodge again and again as this became our go to spot in Tennessee. I searched hundreds of other cabins in this area for over a month and we feel blessed to have found this lodge. Once you arrive you’ll see the owner put care into every detail for your perfect stay. From our family…Thank you again to the owner Eddie.